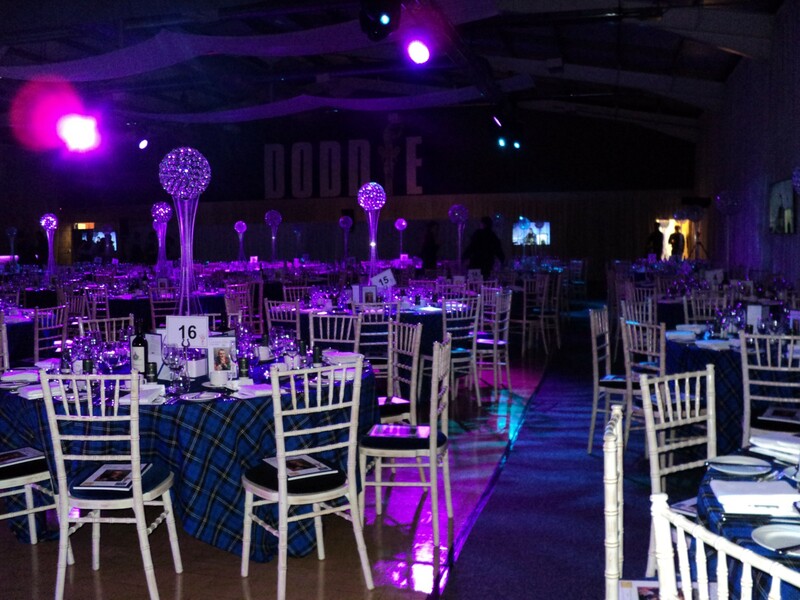 The Borders Events Centre is the largest and most versatile events venue in the Scottish Borders. The Springwood Pavilion at the Border Union sits in a 1,000 sqm footprint with the hall its self measuring 42 metres x 24 metres. If you are looking for a more intimate setting, don’t let the size put you off. Our dividers mean that the venue can be split in to three different sizes. This space, combined with the exceptionally high ceilings and a large roller doors, mean that we can fit the largest of tractors in the hall. The Thorburn is an agricultural shed located just behind the Springwood Pavilion. It can be used as storage or be dressed for use in its own right. Many events add a tunnel from the Pavilion and dress the shed to be an additional space as part of their event. Your caterers will LOVE our kitchen facilities! An incredibly spacious and professional kitchen including ample bench space, sinks, ovens, deep fat fryers, fridges, drink fridges, freezers, bins and a dishwasher. Two large serving windows connect the kitchen with the main hall area. The entire kitchen has a non-slip floor surface. Not something that everyone raves about but oh so important for any event. Visitors are always delighted with our large and impeccably clean loos; gents, ladies and disabled. 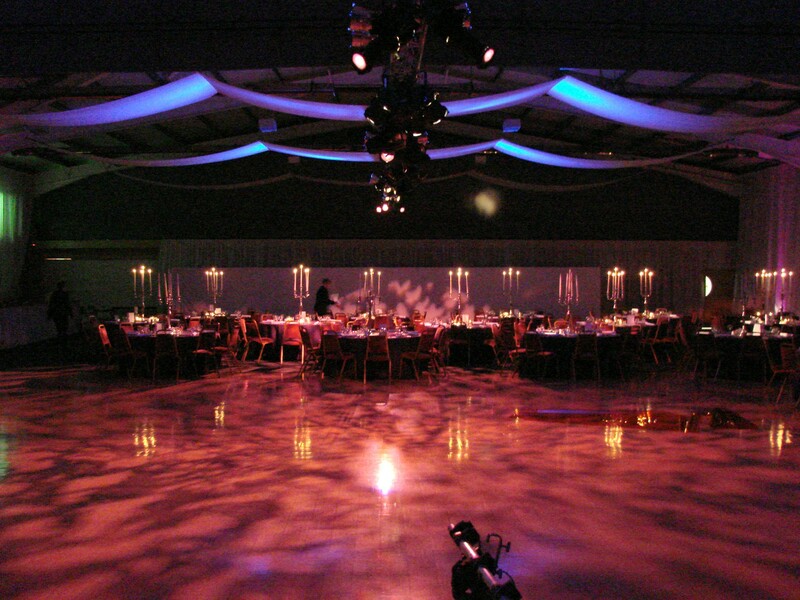 The Borders Events Centre prides its self on being a venue for all and as such does not have an in-house caterer. Event organisers are free to employ their favourite which saves a great deal of worry and stress. We would be delighted to make recommendations should you require them. BEC welcomes caravans and campers and as such provides all the necessary facilities including hook-ups, waste disposal units and shower blocks. 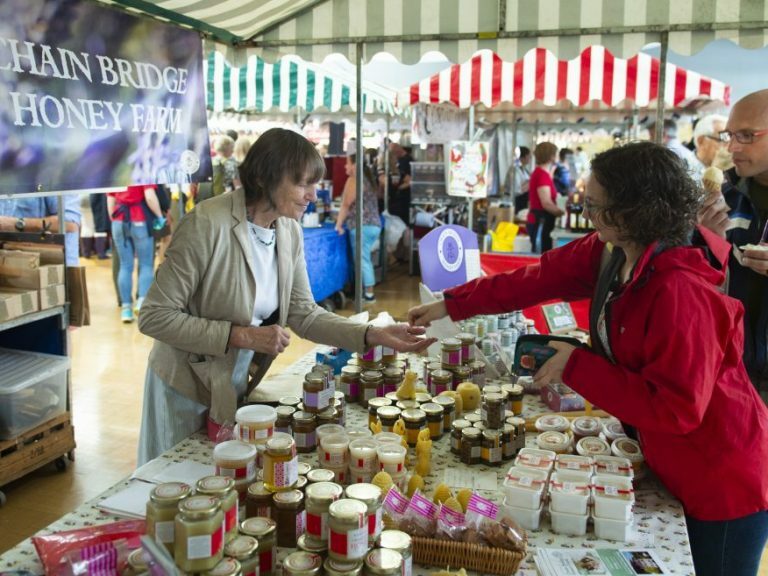 The BEC is just a 5 minute walk from Kelso, along the world famous River Tweed and over the ‘Old Bridge’. Kelso is home to many wonderful pubs, cafes and restaurants as well as a fine selection of hotels and B&Bs. Explorers will be delighted to find the town full of architectural and historical interests including Kelso Abbey and Floors Castle. For those camping on-site, the local supermarkets will prove to be a vital amenity. If your event is open to the public, we’re happy to promote your event on our website calendar and on our social media. How much is it to hire BEC? Not as straight forward to answer as one might think! We are unable to provide set pricing as every enquiry is different. 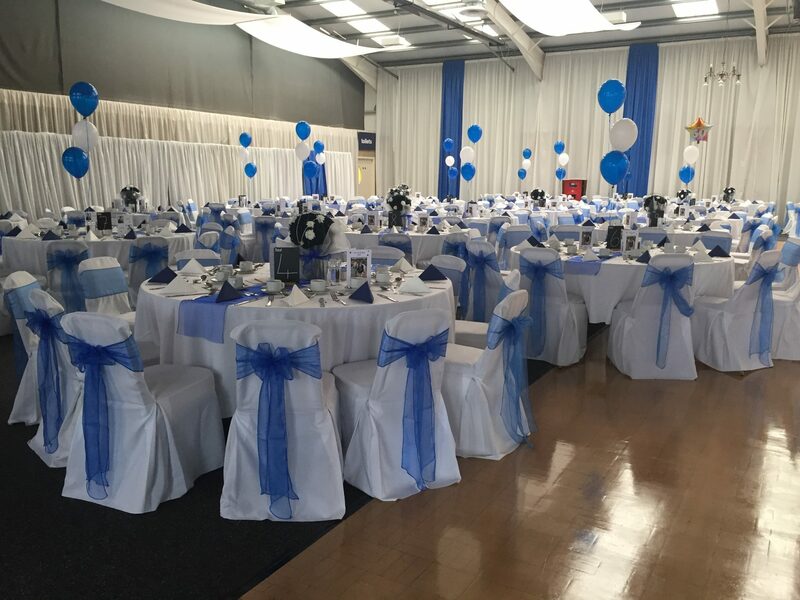 We would be happy to provide a quote based on your individual requirements like how many chairs you require, how long the event will take to set up and so on. Please do get in touch to get the ball rolling. Yes, we encourage everyone considering our venue to visit the site in person. Please do so by making an appointment and we will ensure that someone on site to show you around. Can I hire the whole site or just the Pavilion? The wonderful thing about the Borders Events Centre is its versatility. 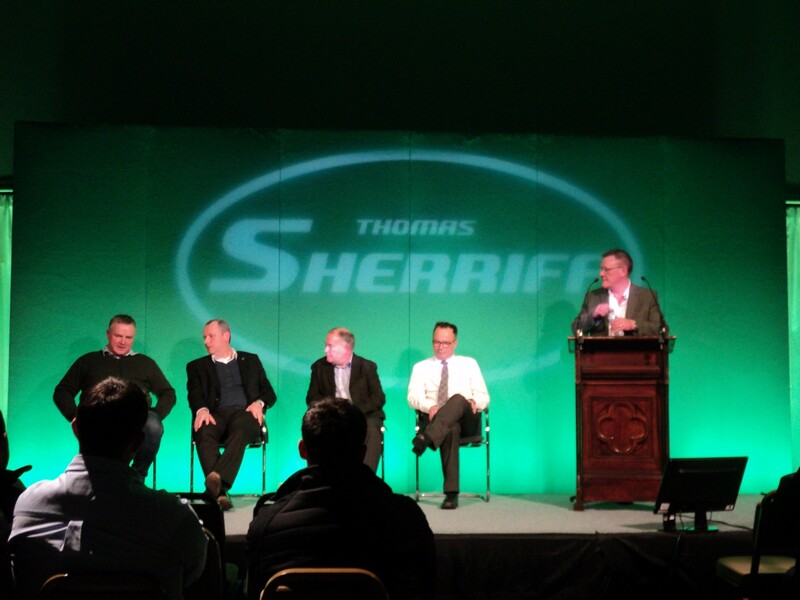 You can hire just the meeting room, a section of grounds or the entire site! 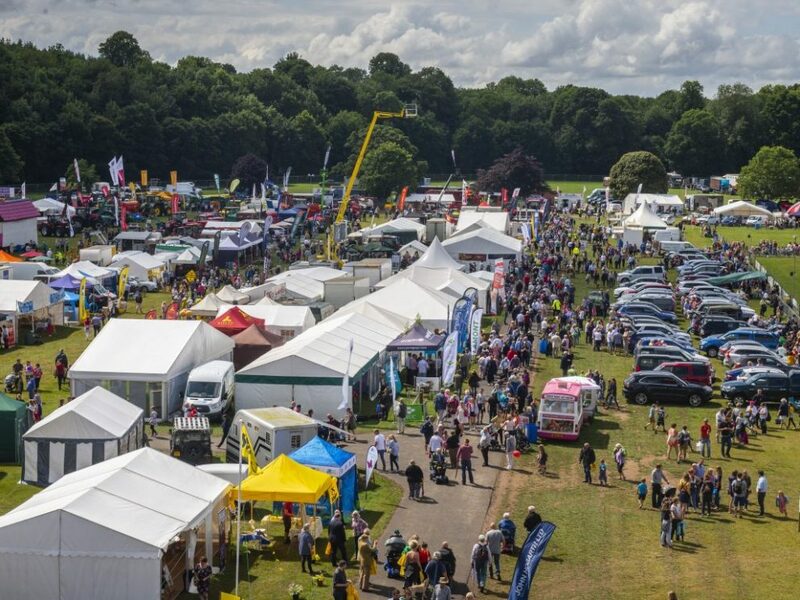 The site hosts many events throughout the year both closed and public so please do get in touch with your preferred dates and we will see what we can do.